In 1817, surveyors sent by Secretary of War Calhoun to map the area around Fort Snelling named the largest lake in what became Minneapolis, Minnesota, for him. Two centuries later, the city of Minneapolis renamed the lake with the Dakota language name Bde Maka Ska, meaning "White Earth Lake" or "White Banks Lake". The Calhoun-Isles Community Band in the Uptown district of Minneapolis changed its name to City of Lakes Community Band in November 2018 to distance itself from Calhoun's pro-slavery legacy following the renaming of the lake. Calhoun was portrayed by actor Arliss Howard in the 1997 film Amistad. The film depicts the controversy and legal battle surrounding the status of slaves who in 1839 rebelled against their transporters on La Amistad slave ship. Henry Clay Sr. was an American attorney and statesman who represented Kentucky in both the United States Senate and United States House of Representatives, served as 7th speaker of the U.S. House of Representatives, and served as the 9th U.S. secretary of state. 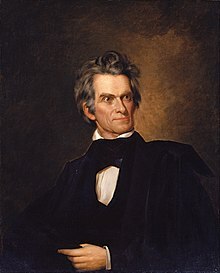 He received electoral votes for president in the 1824, 1832, and 1844 presidential elections and helped found both the National Republican Party and the Whig Party. For his role in defusing sectional crises, he earned the appellation of the "Great Compromiser." Daniel Webster was an American statesman who represented New Hampshire and Massachusetts in the United States Congress and served as the United States Secretary of State under Presidents William Henry Harrison, John Tyler, and Millard Fillmore. He was also a prominent attorney, especially during the period of the Marshall Court. Throughout his career, he was a member of the Federalist Party, the National Republican Party, and the Whig Party. George McDuffie was the 55th Governor of South Carolina and a member of the United States Senate. John Floyd was a Virginia politician and soldier. He represented Virginia in the United States House of Representatives and later served as the 25th Governor of Virginia. William Smith was chosen as a Democratic-Republican to the U.S. Senate representing South Carolina in 1816. 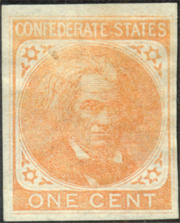 The legislature declined to re-elect him when his term expired in 1823. He was narrowly chosen senator in 1826 and was again replaced in 1831. 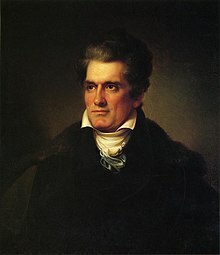 The presidency of Andrew Jackson began on March 4, 1829, when Andrew Jackson was inaugurated as President of the United States, and ended on March 4, 1837. Jackson, the seventh United States president, took office after defeating incumbent President John Quincy Adams in the bitterly-contested 1828 presidential election. 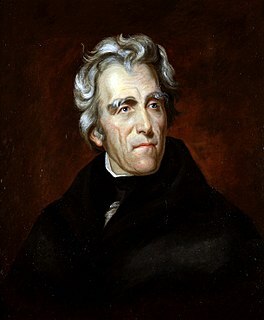 During the 1828 presidential campaign, Jackson founded the political force that coalesced into the Democratic Party during Jackson's presidency. Jackson won re-election in 1832, defeating National Republican candidate Henry Clay by a wide margin. 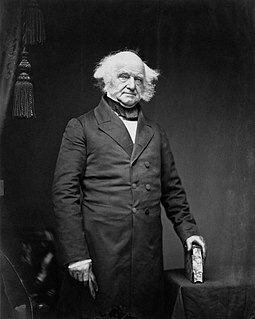 He was succeeded by his hand-picked successor, Vice President Martin Van Buren, after Van Buren won the 1836 presidential election.